Even though there has not been a causal link found between sleep apnea and diabetes, the two conditions appear time and again on hundreds of medical research studies. Because so many people seem to suffer from both of these chronic illnesses at the same time, it is worthwhile to look for any similarities or differences. People who suffer from sleep apnea have breathing cessations that stand in the way of getting restful sleep. Common symptoms of this disorder include extreme daytime sleepiness, dry mouth and headache, loud snoring, and irritability. 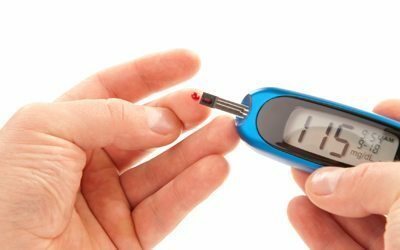 Symptoms of diabetes include abnormally high or blood sugar levels, light-headedness, extreme thirst or hunger, and shakiness. Irritability is the only common symptom that the two conditions seem to share. Okay, if the two conditions do not share many symptoms, perhaps they share common causes. There are two types of sleep apnea: obstructive and central. Obstructive sleep apnea is caused by an obstruction of the airways. The air passages are too narrow, are blocked, or are collapsed somehow. Central sleep apnea occurs when the brain does not send the proper signals to allow for normal control over breathing. Diabetes also has multiple types. Type one diabetes is caused when the pancreas fails to produce necessary insulin. Type two diabetes has been linked to a high glycemic diet, excess weight, and an inactive lifestyle. As you can see the causes of sleep apnea and diabetes do not immediately seem to have much in common whatsoever. People who are overweight or obese are at a significantly higher risk for developing both sleep apnea and diabetes. People who are inactive, overweight, and choose foods that are high in sugar can disrupt the body’s ability to properly regulate blood sugar levels, which can lead to diabetes. When fat deposits build around the neck, chest, and stomach, this can restrict airways and lead to sleep apnea. People who suffer from heart disease are also at a greater risk for developing sleep apnea. Heart disease is a somewhat common complication that can arise due to type two diabetes. Additionally, people who suffer from high blood pressure are at a higher risk for developing both sleep apnea and diabetes. As you can see, it is difficult to say that diabetes causes sleep apnea or vice versa. However, there is evidence to suggest that individuals at a high risk for one disease are also vulnerable for developing the other. This is why the initial mode of treatment for each condition is a change in lifestyle. Before trying any more invasive treatments for sleep apnea, physicians will first suggest that patients change their diet to lose excess weight, stop drinking and/or smoking, and get more exercise, if these factors are likely contributing to the apnea. By taking steps to address or prevent sleep apnea, individuals can also reduce their risk of developing diabetes and ultimately improve their overall quality of life.